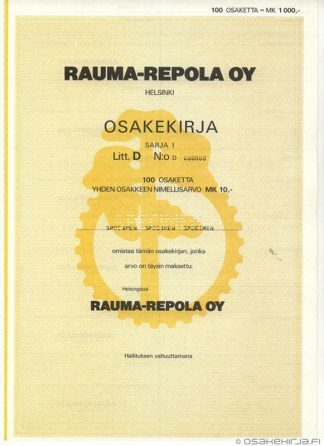 A multifunctional company Rauma-Repola was established in 1952. It made “everything but the fob watches” as the former chief of the company, Mr. Tauno Matomäki, said. One high-tech product of Rauma-Repola was famous MIR submarine. 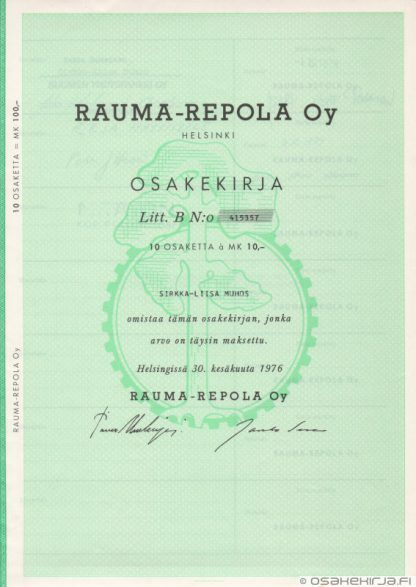 Rauma-Repola delivered them to the Soviet Union in 1987 and caused a huge diplomatic stir between the great power states. 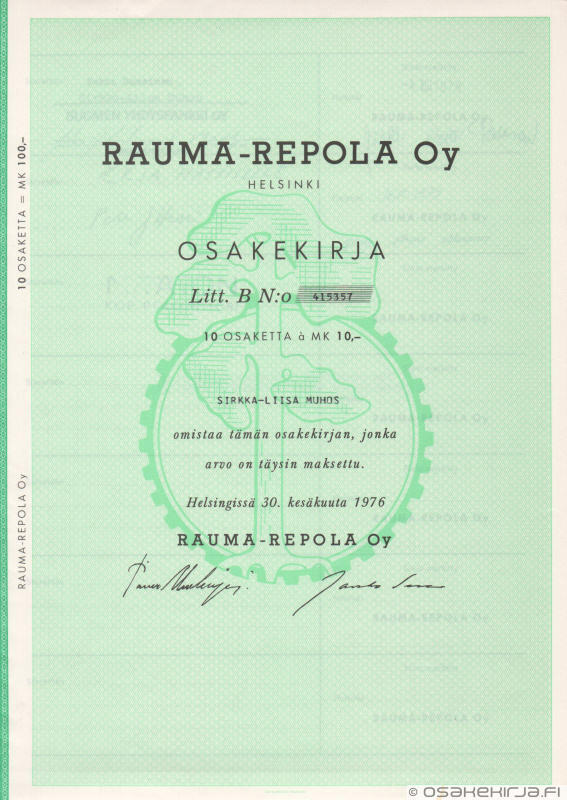 Rauma-Repola was combined with United Paper Mills company in 1991. The result was Repola Ltd, which was the largest company in Finland. Nowadays the forest industry parts of Rauma-Repola are a part of UPM and the heavy metal business belongs to Metso. They both are big listed companies in Finland. 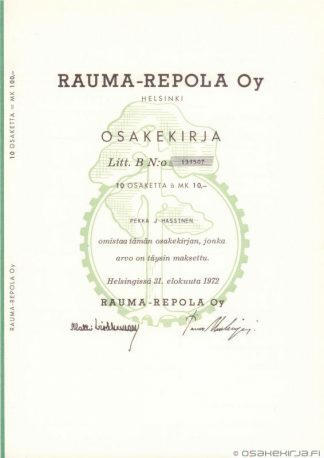 The share of Rauma-Repola was listed in the Helsinki Stock Exchange from 1954 to 1990. Nature of business: Metal based industry, shipbuilding and offshore, engineering, forest industry, pulp and paper, packaging. 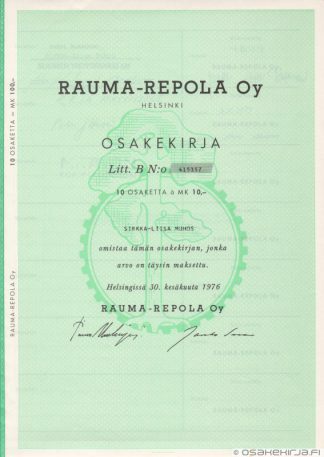 Because of the very interesting Soviet-related history of this multifunctional company, we have a brochure of Rauma-Repola in Russian. Feel free to download it! 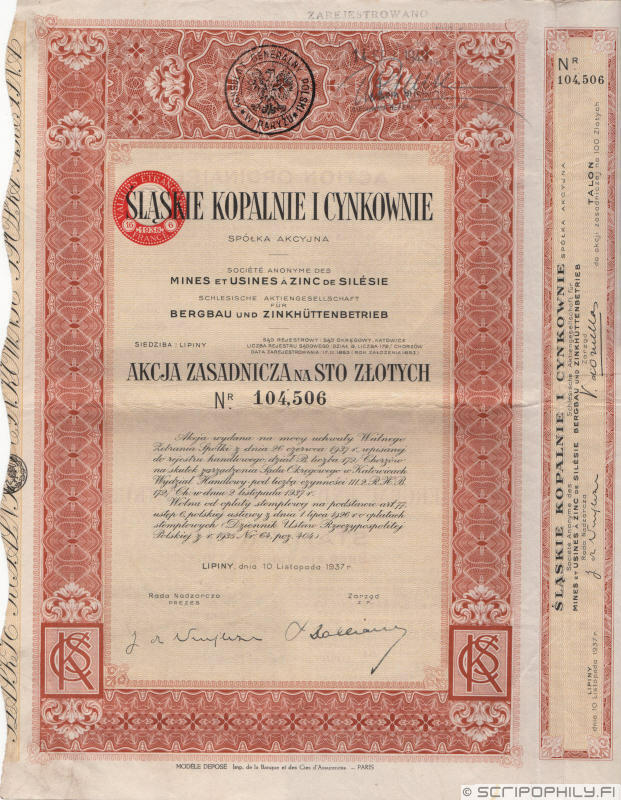 Signed by Paavo Honkajuuri and Jouko Sere. Auction results: 16.03.2014 16 EUR.